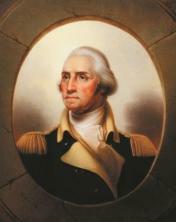 Glens Falls, N.Y. - Picturing America: Signature Works from the Westmoreland Museum of American Art will be on view at The Hyde Collection, September 28, 2014 through January 4, 2015. From the 1758 Portrait of John Gardiner by John Singleton Copley to Milton Avery&apos;s Arrangement with Plants of 1948, the exhibition presents 57 paintings and sculptures that describe the American experience from the Colonial period to early Modernism. Other renowned artists from the two hundred year span represented in this selection include Mary Cassatt, William Merritt Chase, Susan MacDowell Eakins, Childe Hassam, Robert Henri, George Inness, Paul Manship, John Singer Sargent and Benjamin West as well as Charles Willson Peale and his children Rembrandt, Rubens and Mary Jane. The rich variety of expressive means represented by the works in the exhibition, including still-life, portraiture, narrative and abstraction, provides a visual embodiment of such national ideals as freedom, diversity and opportunity. The exhibition is curated by Hyde director Charles Guerin. Picturing America is organized and toured by the Westmoreland Museum of American Art, Greensburg, Pennsylvania which is currently under renovation and expansion. Prior to exhibiting at The Hyde, the works traveled to the Dixon Gallery and Gardens, Memphis, Tennessee; Vero Beach Museum of Art, Vero Beach, Florida; and the Georgia Museum of Art, Athens, Georgia. The exhibition is sponsored, in part, by the Town of Queensbury, New York and is made possible by the New York State Council on the Arts with the support of Governor Andrew Cuomo and the New York State Legislature. of shifting back and forth between clarity and mystery. The resulting disruptions of the surface convey the energy of Diggory&apos;s response to dynamic subject matter. Anne lives in Saratoga Springs, New York and frequently paints in the Adirondacks. She exhibits extensively in the New York and New England area and is represented by Blue Mountain Gallery in New York City. Her work is in numerous private and corporate collections nationwide, including purchases by Phoenix Home Life in Albany, Bessemer Trust in San Francisco, Adirondack Trust, and AYCO in Saratoga Springs. Her work has been featured in American Artist, Adirondack Life, and The New York Times. This exhibition is made possible by the New York State Council on the Arts with the support of Governor Andrew Cuomo and the New York State Legislature. Anne Diggory: Hybrid Visions opens September 28, 2014 and runs through January 4, 2015. The public opening night reception for both exhibitions will take place on Saturday, September 27, 2014 from 6:30pm to 8:00pm. It is free for Hyde members and $20 for non-members. To make reservations for this event, call 518-792-1761, ext. 323 or email tvanier@hydecollection.org by September 22, 2014. For more information contact Alice Grether, director of communications and visitor services, at 518-792-2761, ext. 328 or agrether@hydecollection.org. The Hyde Collection is a historic house and art museum complex with a distinguished collection consisting of works by American and European artists such as Botticelli, Rubens, Rembrandt, Picasso, Homer and Eakins, as well as important decorative arts and antique furnishings. The Museum provides changing exhibitions in two gallery spaces, lectures, concerts, family activities and school programming. For information, visit www.hydecollection.org or call 518-792-1761.